We were approached by a developer looking to capitalise on newly acquired industrial sites for residential opportunities. Our proposals for these two unique sites each references the local vernacular, providing private outdoor amenity in differing ways whilst meeting all the requirements of the London Plan. 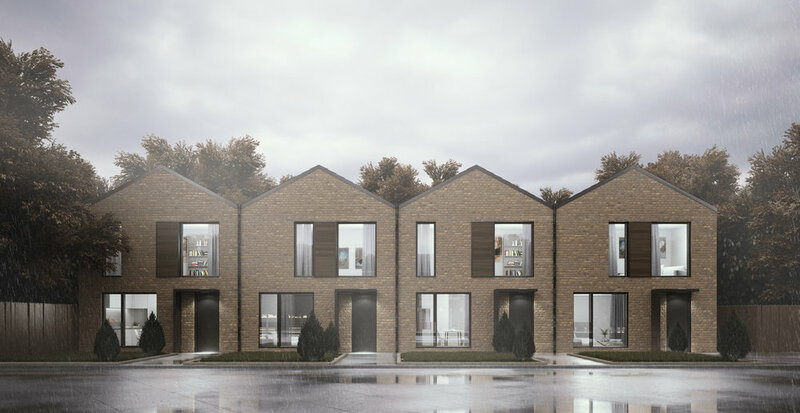 The schemes are designed with economical modular building in mind, rationalising the form and fenestration, whilst avoiding the look of mass produced housing.